Expiry dates. Seriously. I have yogurt in the fridge with today's expiry date and I spent a good 5 minutes in the shower tonight thinking about whether I'm going to risk using it in the morning for breakfast. It's greek yogurt so it's sour to begin with! How will I know if it's gone off? Will I only know when I'm flying through the office an hour later to the washroom? I really can't be sure. 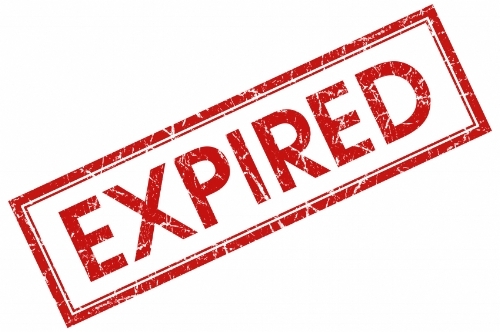 What's worse is when something doesn't have an expiry date! I have been trying to do meal prep at the beginning of each week but I tell ya, when I get to Thursday's portions, I start to worry. Tonight, I chopped up a cooked chicken breast and put it on a salad for tomorrow. It was cooked five days ago. But, it's cooked, right? And it was in an air tight container... Anyway, it's on the salad now and I'm going to risk my life tomorrow choking it back. I also have an awesome steak in the fridge with my name on it but couldn't cook it tonight. It's also been in the fridge for about 4 days now...is it ok so long as I cook it? Essh! I sure hope so! I blame the time I worked for the Canadian Agriculture Minister and oversaw the communications of the Canadian Food Inspection Agency - that place can cause nightmares. "Can I really not eat raw hot dogs", I asked one day. The look of fright on their faces was enough. And Cheese Whiz? I love it on a toasted bagel and even recently asked my parents to send me a jar from Canada. I've chosen to block out the knowledge that it's apparently grey before the orange colour is added. Yum. I figure the key to safely eating raw hot dogs and Cheese Whiz is to make sure they aren't expired. Right?